We are primarily a trade site for qualified gas appliance repairers in Australasia. 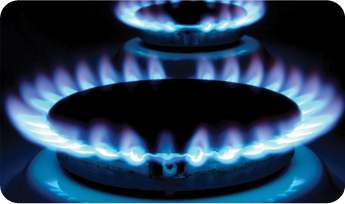 Gas appliances are complex equipment which can cause death if incorrectly repaired. All gas appliances need to be repaired by licensed gas appliance technicians. Due to "Do It yourselfers" purchasing on the site and using Gasstop as a swap out service to self diagnose their appliance problems, we have no choice but to charge a minimum restocking fee of 25%. Any returned part can't be resold untíl its integrity can be guaranteed through proper testing to maintain its AGA certification. Our quality control on parts is paramount to maintain a safe repair solution for all users. Hence all our electronic parts are in sealed secure bags. If unsure which parts you need contact us with a photo or a desciption of the problem prior to ordering. We can arrange pick up from our warehouse in Moorabbin to minimise wait times for urgent repairs. Please put this in your comments when ordering & we will contact you to advise earliest time for pick up. All goods need to have been ordered via web site & processed any minimum postage fees will be refunded. We have no sales counter at our warehouse so a call first to make sure we will have someone in dispatch 95024854. They service inner city & South East Suburbs in Melbourne only. All gas appliances requiring repairs should be carried out by a licensed gasfitter with the specialist class of type A or B gas appliance technician. All states require any repair persons to carry their credentials & produce them on request. Send us your details via "contact us form" , we will contact you letting you know likely arrival of new stock. When we have your part in stock we will contact you to confirm order. All our orders are deemed delivered leaving after leaving our dispatch. The courier is responcible for any loss which the customer will need to contact. If your order doesnt arrive in the delivery window please let us know so we can contact our shipping admin to assist recovery. Courier orders can be contacted by emailed packing slip for customer tracking. Any problems with our carriers please let us know. All our orders are mailed under customer contract with the courier company or Aust post. You will also be notfied when your order leaves our dispatch & who will be delivering your order with relevant shipping numbers. We normally ship same day of order or next. Melbourne customers can expect 1-5 days turn around depending on size of the item. Interstate customers can expect 3-5 days for most orders. Bigger items such as large appliances may only be available in Melbourne Metro. We will advise if this is the case prior to processing order. Be carefull when ordering - If unsure send us a message via "contact us form". Give us the make & model of your applaince & we will advise the correct part. We reserve the right not accept returns on any "change over" electronic boards due to customers using the service to self diagnose faults via our swap out service. Once the seal is broken on or reco bags the module cannot be refunded as it will need to be retested for quality control. Any faulty new products are gladly replaced under manufacturers warranty provided they havent been damaged by incorrect instalation. We will need to ascertain the product is faulty prior to dispatching the replacement item or have authorisation from the manufactuer. All gas applaince repairs should be carried out by law by a licensed gasfitter with "Type A gas appliance technicians" accreditation. Please note we warranty with replacement & no refunds due to processing charges incurred using this site. All returns are at the customers postage costs. This service brings the cost down to about 50% of the new purchase price. We can provide a quote via the contact us link. You can email us a digital photo to check viability. The process requires you to mail your part into us for change over & we will send you back a fully reconditioned unit. Warranty excludes damage from priamry fault not being rectified prior to installing new board. Please note this isnt a change of mind or return policy if the part is found not to be required. All parts are non refundable as we have had people abuse the sytem to carry out their own unqualified repairs. Gasstop was being used as a part swap out diagnosis service for dummies. What if the part I want isnt listed ? If you cant find what you are looking for. Send an email with the appliance brand & approx date of manufacture. If you have a digital picture include it with your email. No records of your money transactions are kept & all transactions are encrypted to prevent any compromise of your personel details. Our system is managed by a 3rd party certified merchant gateway registered with Australian banking system & rules. Our site is fully approved by the banking merchant portal.